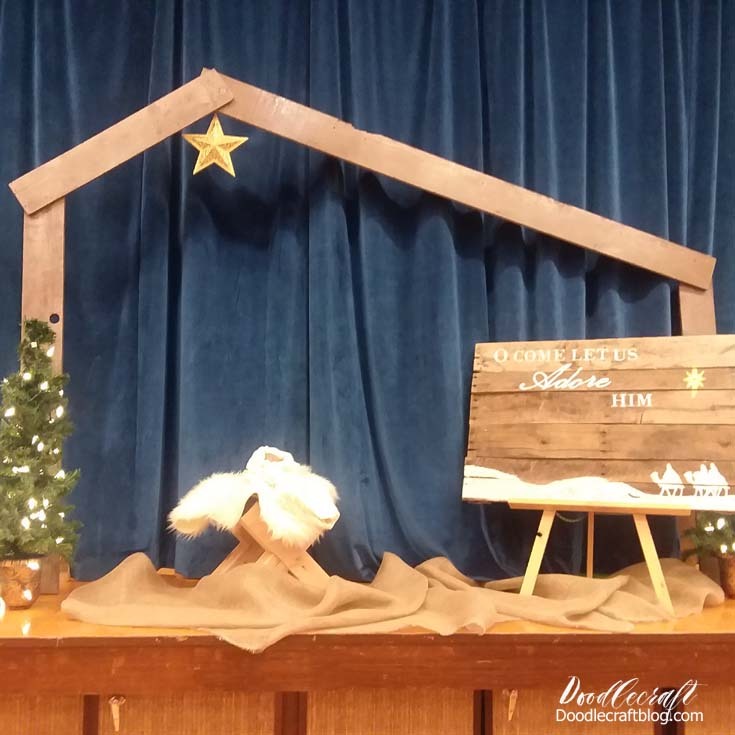 My husband built this wood manger for a church party last year. 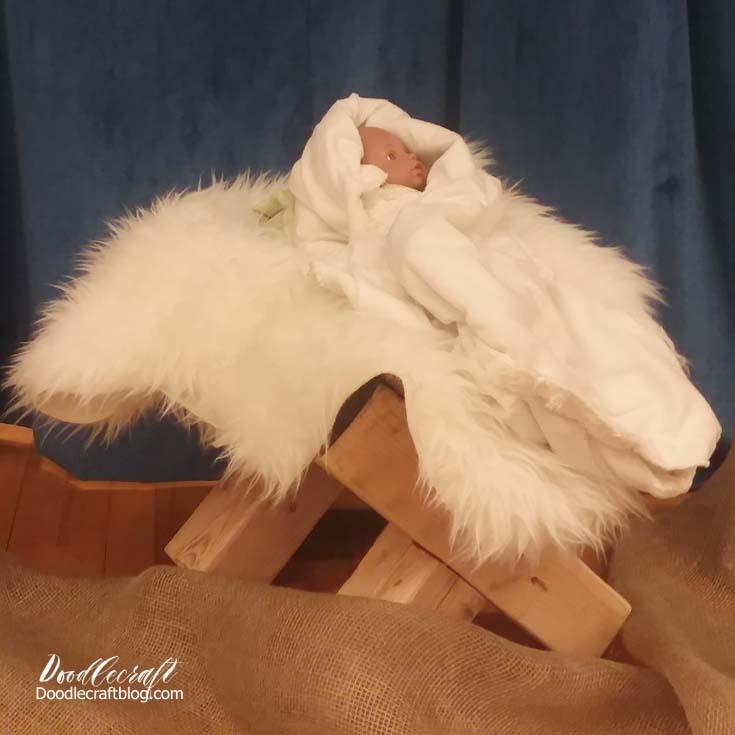 It works as a Nativity Story play or yard decoration too. Made of reclaimed wood and mostly hand tools for extra authenticity. The construction of the manger uses no nails or screws, just wood dove tailing. Great DIY for Christmas time. To fit the boards together, they are cut like Lincoln Logs, 1/2 notches on both boards, right in the center. Set the table saw at 1.75 inches tall and cut slices in the center of the posts...enough slices to fit one post. Then use a chisel and slice off all the slices. Clean up the inside of the cut with the chisel. Then use a rubber mallet to fit both posts together tightly. Repeat this with the other 2 posts. Next, use a jig saw to cut opposing dove tail groves on the pine boards. This way they will fit together like a puzzle. Make sure the pieces slide inside each other firmly but not too tight. Then just stand up the cross legs and slide the dove tailed boards right on top! Simple and sturdy. Needs no nails or screws. Fill with hay or fake fur and the little baby Jesus. Or leave empty as a reminder of Christmas day and the birth of Jesus. 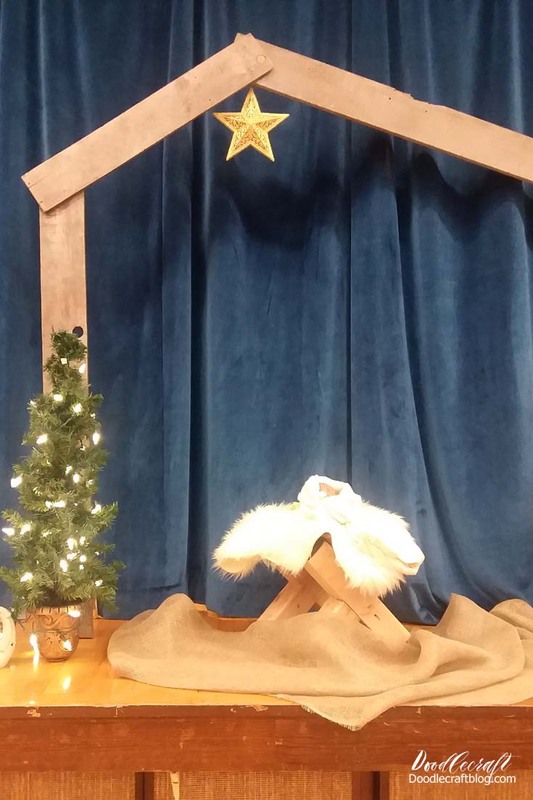 Build the outline of a stable with 2x4's and hang a little star above the manger. The manger comes apart for easy storage.